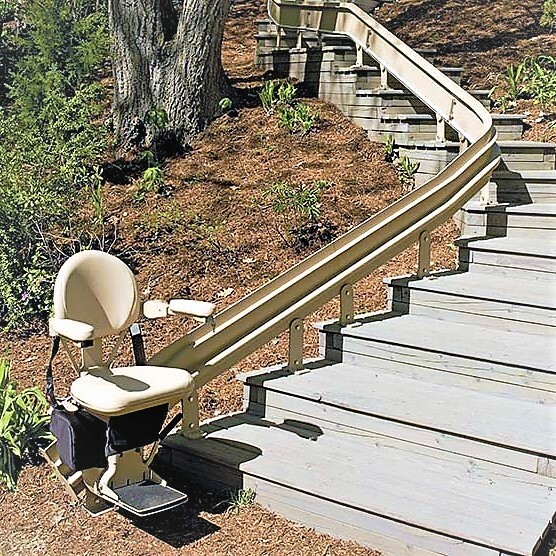 When climbing the stairs becomes difficult, you shouldn’t have to consider leaving the home you love just for mobility’s sake. 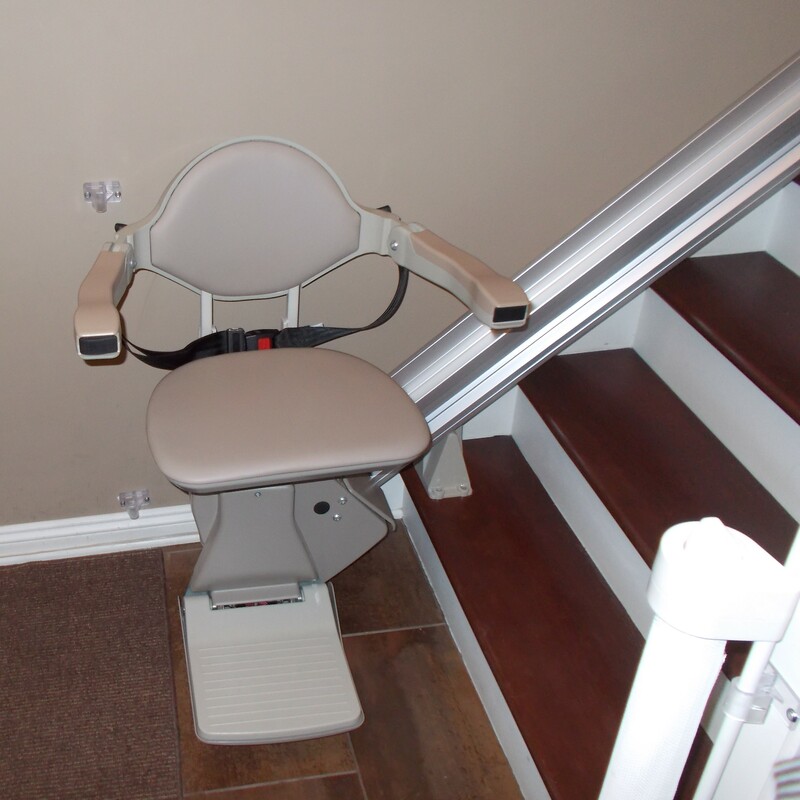 A stair lift is a simple, safe alternative to your stairs that will allow you to maintain your independence without making any dramatic changes to your life or structural changes to your home. 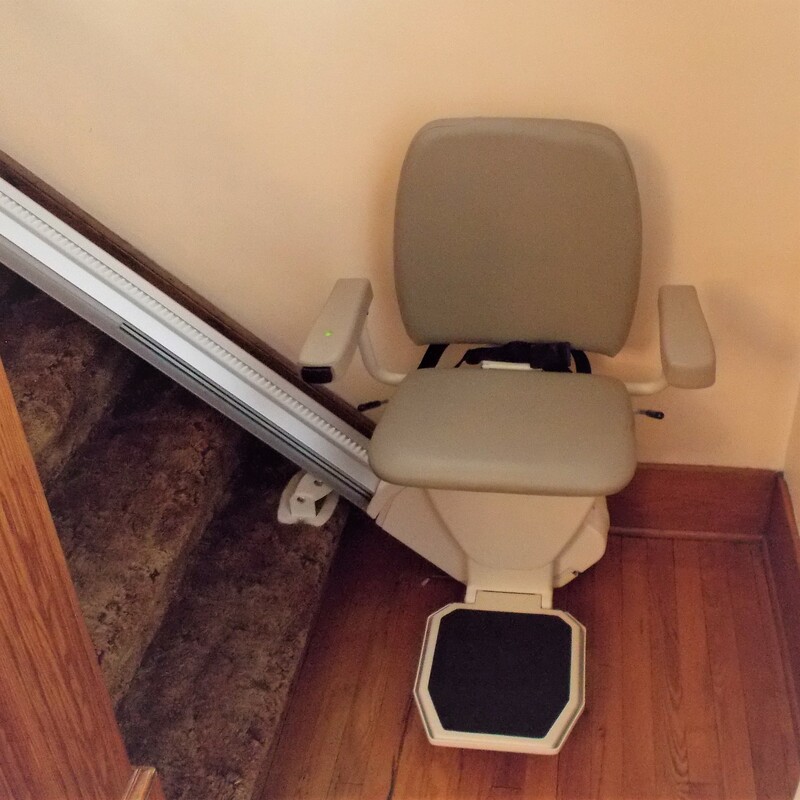 With models to fit any budget, our stair lifts are the most effective way to put every birthday party, grandchild visit, or family dinner easily within your reach. 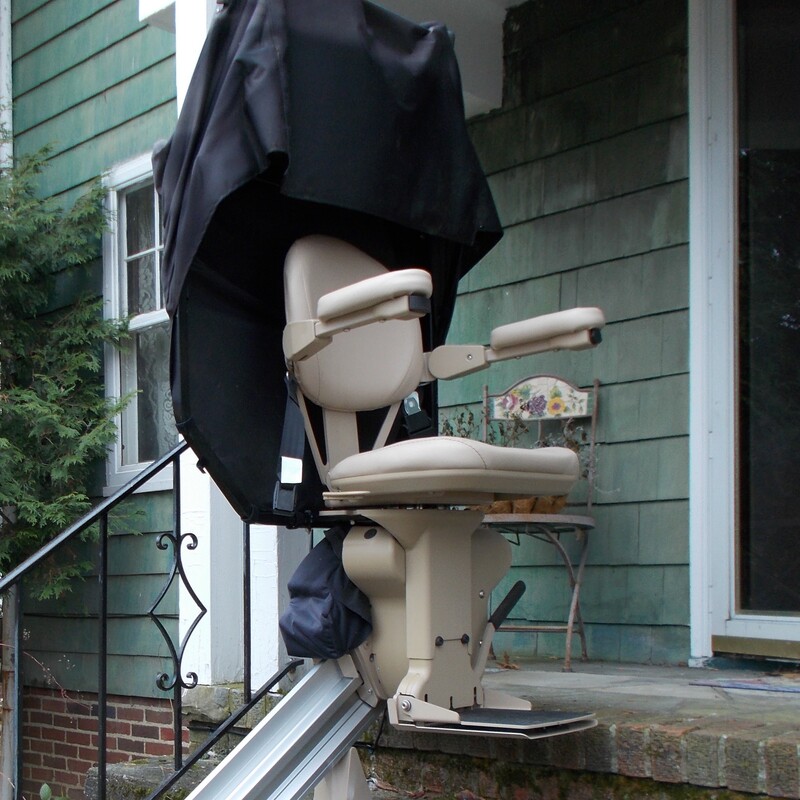 We offer both indoor and outdoor stair lift options and have a solution to fit almost any need. 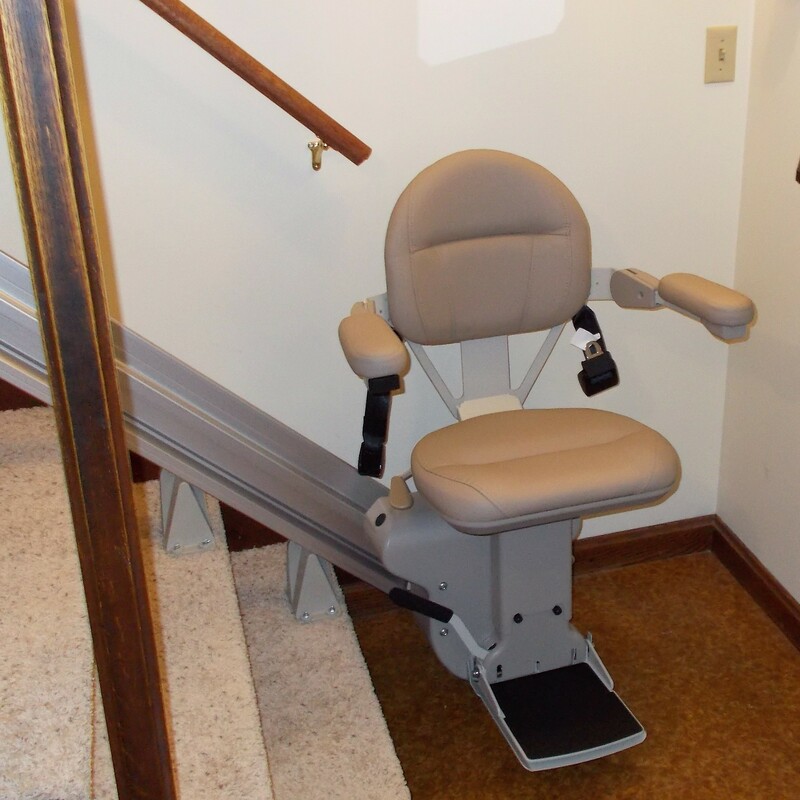 Most stair lifts are "DC" or battery operated which will allow use even during a power outage. 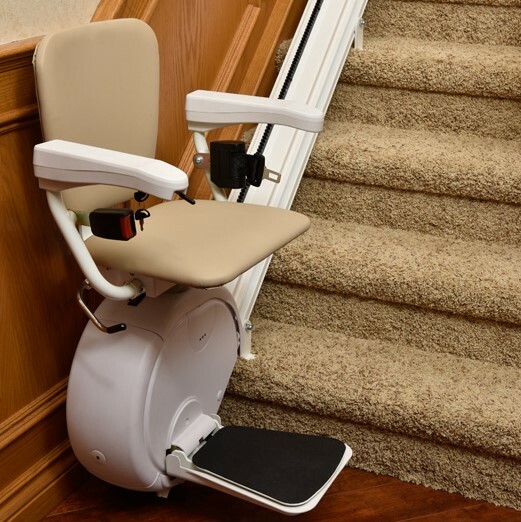 Other standard features include a swivel seat at the top landing, wireless remotes, automatic charger and more. 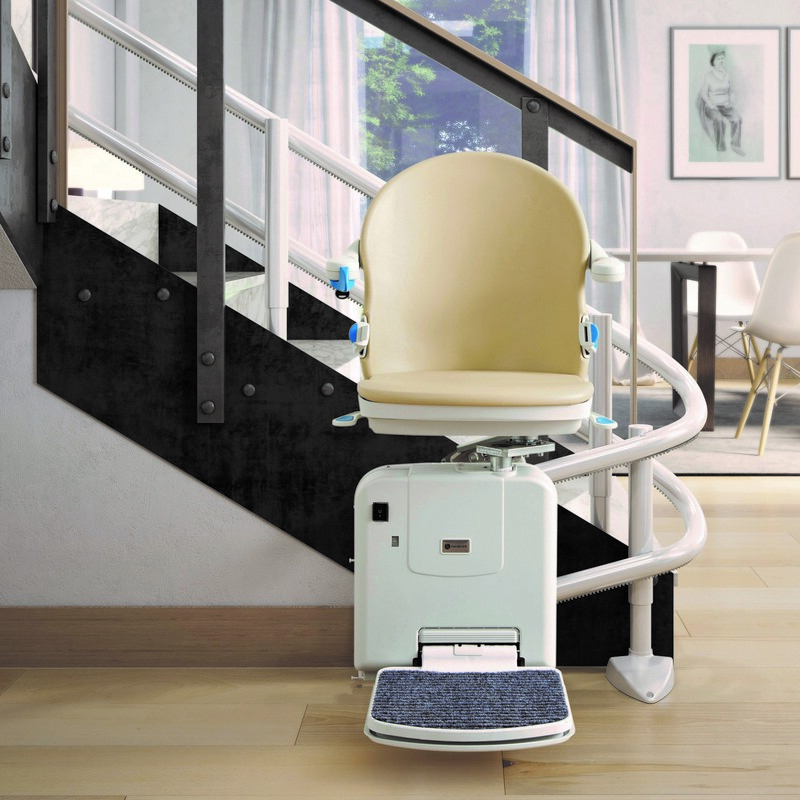 ‍We are authorized dealers for Bruno, HandiCare, Savaria and Harmar. 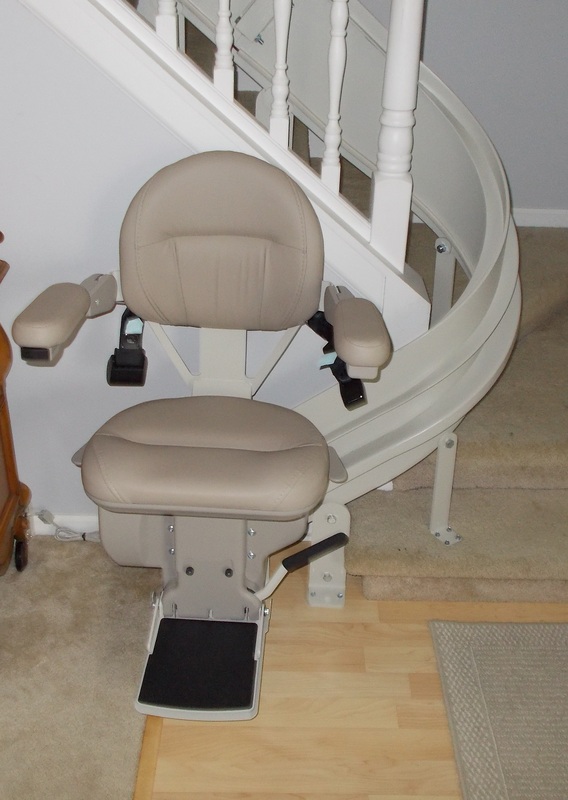 If your home has a split or curved staircase and you are considering a stair lift, a custom curved unit may be the answer. 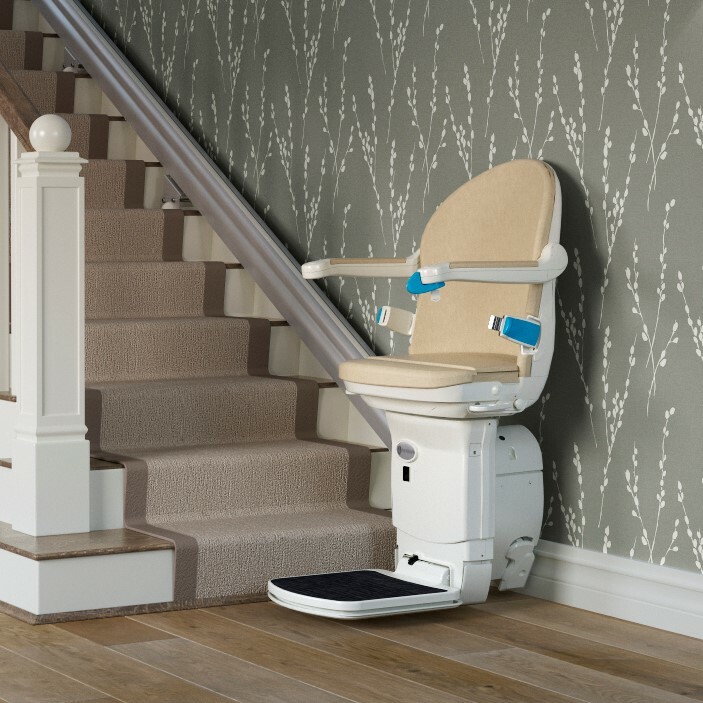 A curved stair lift allows for a continuous ride without the need to stop and transfer at landings. 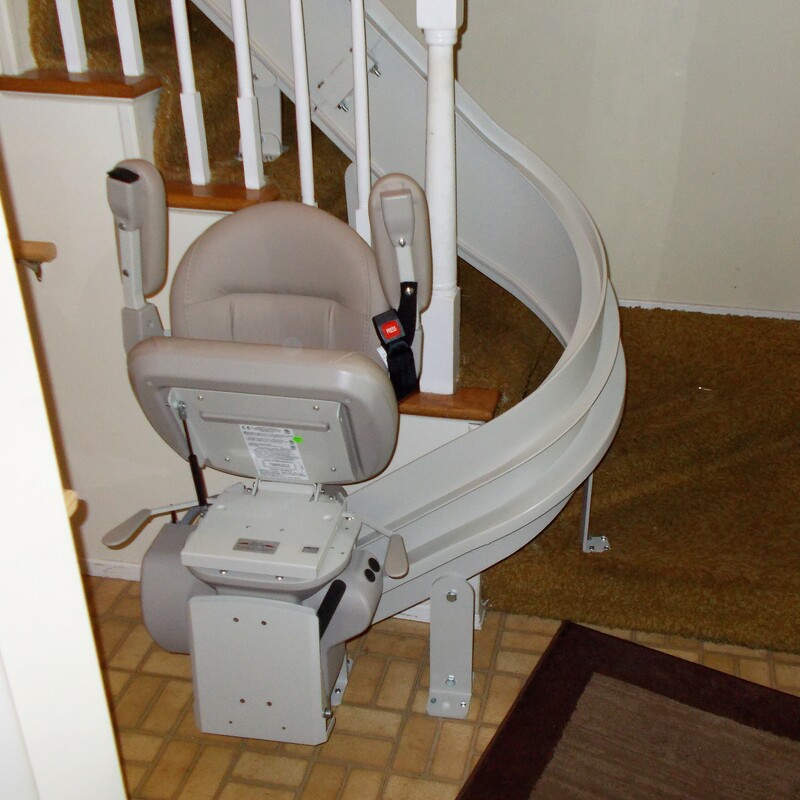 Whether the staircase has an intermediate landing, is spiral, or has a curved section with "pie-shaped" stair treads, a custom curved stair lift can be manufactured to accommodate. 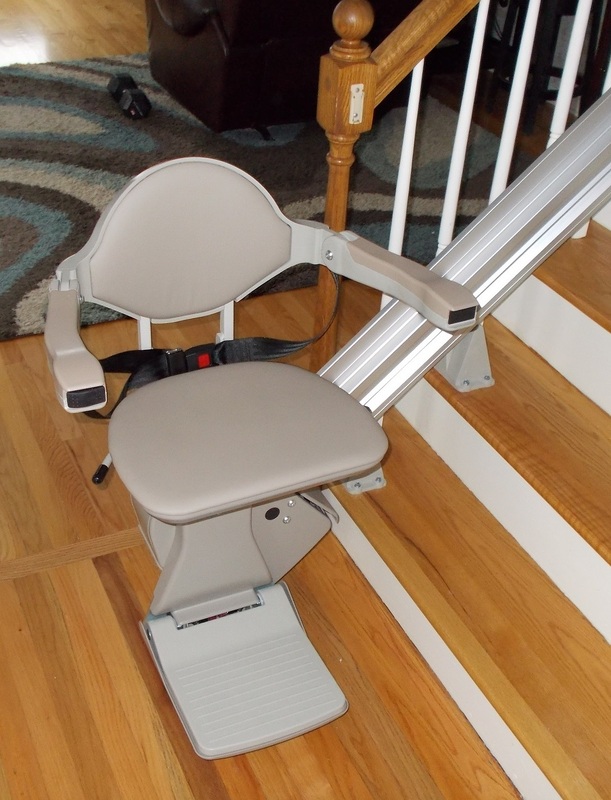 Some standard features include "DC" or battery operation, automatic charging stations at each end of the rail, swivel seat at top landing and wireless remotes. 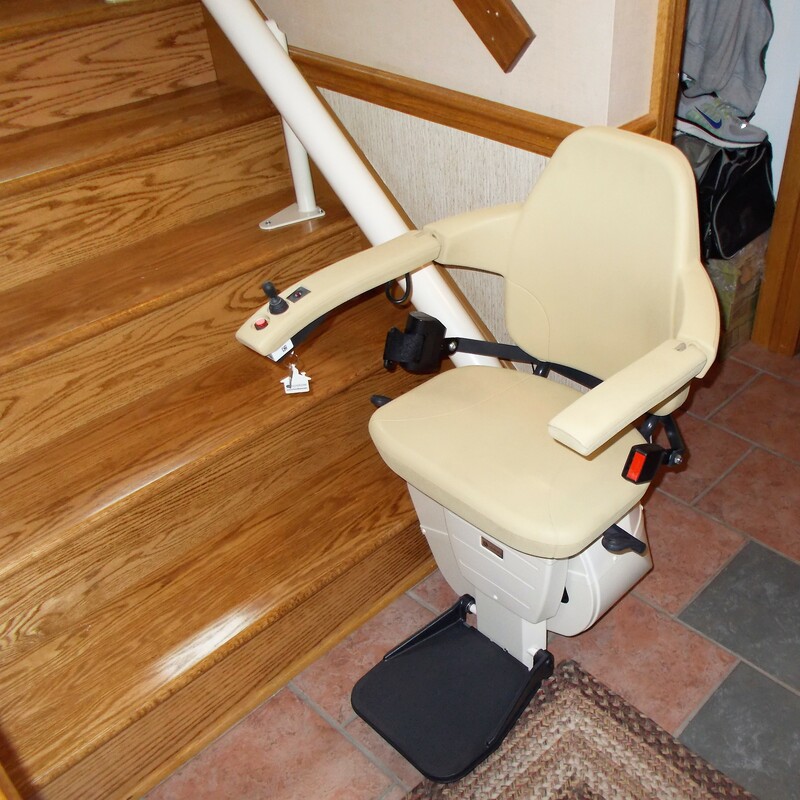 Upgraded options such as mid-park and charge stations, 90° and 180° park positions, power swivel seat at the top landing and more are also available.